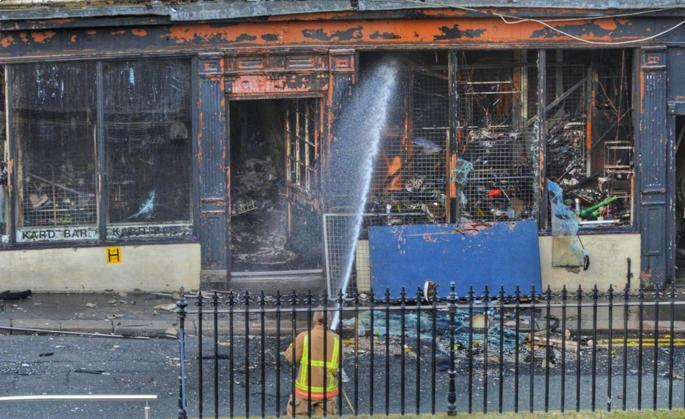 One person is missing, feared dead, after a fire at a shop in Newcastle city centre. The blaze at the three-storey premises of the Kard Bar gift shop in Cross Street began at around 9am on Tuesday morning (1 December). More than 50 firefighters were called to tackle the fire while the area was cleared. However, 24 hours on from the incident and one person is still unaccounted for. The business insurance for any customer-facing firm must include public liability cover, in case someone is injured or even killed on the premises, which could incur huge costs. Specialist shop insurance meanwhile will provide cover for a retailer's stock and the building they are trading from, should they own it. The roof at the Kard Bar store collapsed as a result of the blaze, with one person believed to be in the upstairs of the premises. Assistant chief fire officer John Baines said: "The structural safety of the building will need to be assessed before we can enter the building to begin our investigations in conjunction with Northumbria Police and partners. "At this stage we cannot confirm all persons are accounted for." An investigation has now been launched into the whereabouts of the missing person, as well as the start of the fire. Meanwhile, reports say that local residents have been advised to keep their doors and windows closed due to the smoke still coming from the shop.